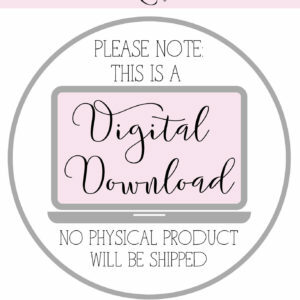 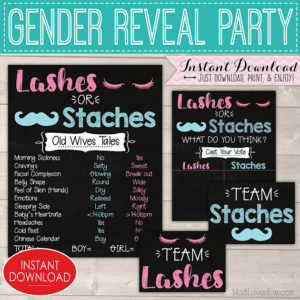 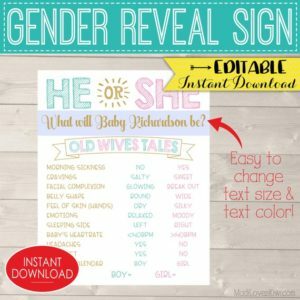 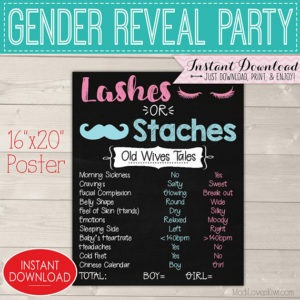 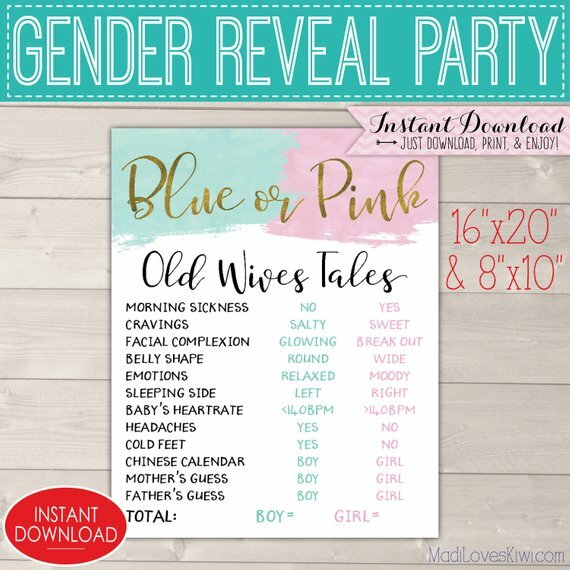 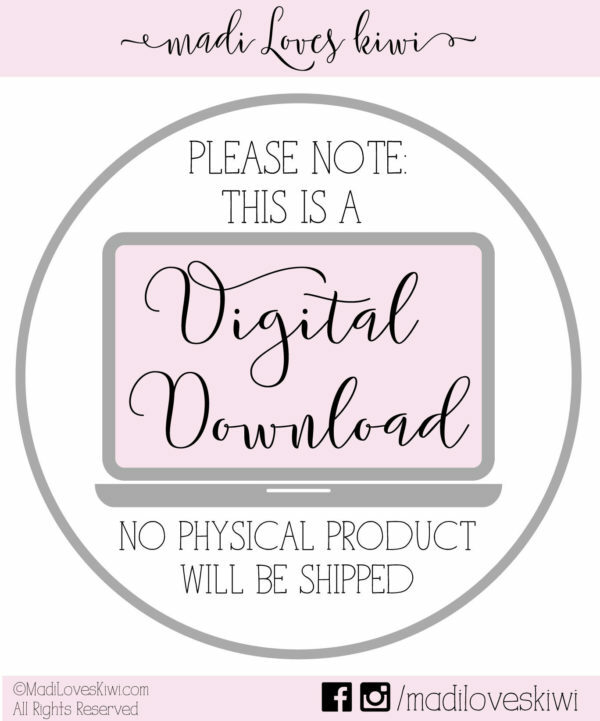 Make a big splash at your gender reveal party with this Blue or Pink themed Old Wives Tales’ Sign! 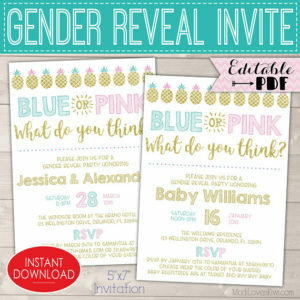 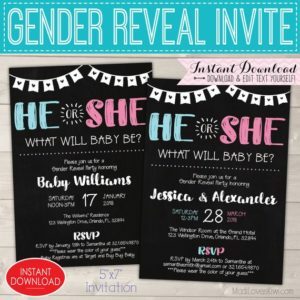 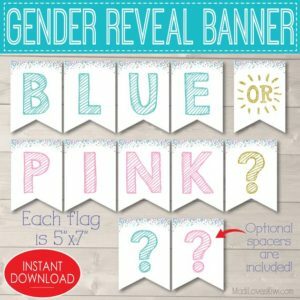 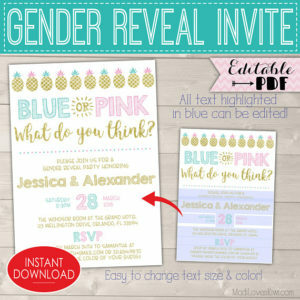 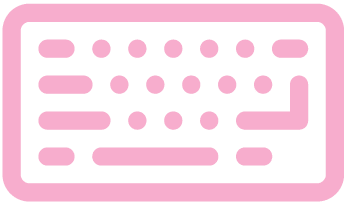 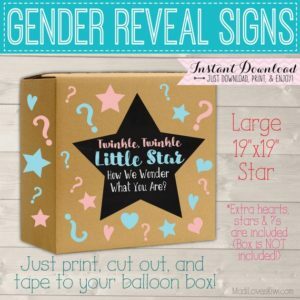 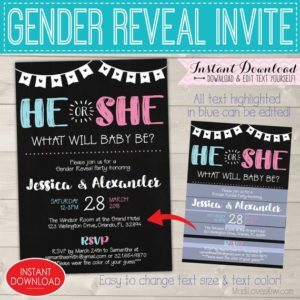 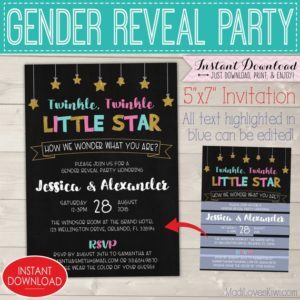 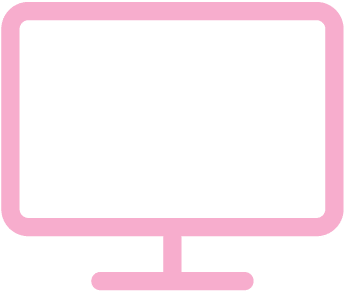 It features big blue and pink paint splatters with realistic looking gold foil lettering and lots of fun gender predictions. 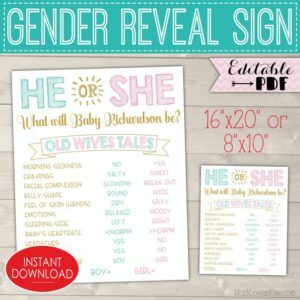 It is easy to print this 16×20 poster at any copy shop or you can print the 8×10 right at home. 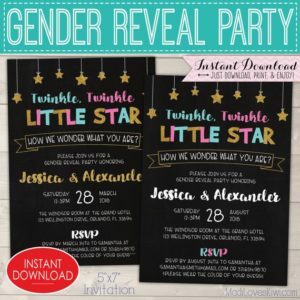 Then either mark the answers ahead of time or turn it into an fun game at the party where the happy parents can share some funny stories as they circle their answers!